Why are people going so crazy for CBD when it doesn’t even get you high? This trendy natural compound could really improve your life if you give it a chance. While most cannabis enthusiasts have traditionally sought after marijuana products with the highest THC content possible, many users are now starting to show interest in a different natural compound: CBD. As the legalization of marijuana sweeps across the globe, it’s becoming more trendy to also use CBD. But what is it, why is there so much buzz around it, and how can I get my hands on some? Cannabidol, known as CBD, is a non-psychoactive chemical compound found in cannabis plants. Non-psychoactive means that it won’t get you high like THC (or tetrahydrocannabinol, if you want to get scientific). Even though CBD doesn’t get you high, there are other appeals — it offers a wide variety of medical benefits. What does CBD do and who can it help? CBD works in much the same way that THC does; both compounds bind to cannabinoid receptors in the brain before being metabolized by the body. Unfortunately, because of current laws that govern research into CBD, many of its processes, as well as its benefits and side effects, are largely unknown. However, that’s not to say that we’re completely in the dark. Some studies have been conducted on CBD in the past that prove the compound is actually very effective at reducing pain. In addition to this, we’re faced with tons of anecdotal evidence that suggests that CBD has some awesome medicinal properties. Celebrities and social media influencers swear that CBD has helped them with pain, anxiety, and a host of other aliments — it even enhances their skin care routine! This short list only highlights some of the most common reasons people are using CBD to help themselves, but it is in no way definitive. In fact, CBD isn’t even just helping people — animals can benefit from the compound as well. Now that CBD products are all the rage, there’s something out there on the market for every kind of consumer. The most popular forms of CBD that you can buy today are tinctures, capsules, foods, and drinks. A tincture is a highly-concentrated liquid extract typically sold in a bottle with a dropper. Ingesting a tincture is one of the simplest ways to take CBD; all you have to do is use the dropper to place the liquid under your tongue. Another easy way to get your dose of CBD is to use gel capsules filled with CBD oil. However, the tastiest way to take your supplement is if you sneak it into your treats. Food and drinks infused with CBD oil are appearing everywhere, from your local grocery store to fancy bars and lounges that create CBD-infused cocktails. Many believe that ingesting CBD orally is one of the best ways to absorb the compound into your body, but it isn’t the only way to benefit from it. Creams and balms (often referred to as topicals) offer a different way to enjoy the effects of CBD. Topicals are applied directly to your skin. The CBD is then absorbed into the bloodstream while also nourishing the surface of your skin. For those of you who aren’t quite as shy about THC and getting high, many dispensaries offer cannabis strains and other products that include both CBD and THC. This allows you to get the medical benefits of the natural compounds while also enjoying the high that THC provides. CBD offers many medical benefits and can help with numerous ailments, but just like with any other medication, you should also be on the lookout for side effects. One of the best known side effects at the moment is that CBD can lower your blood pressure. This could be especially concerning to someone who takes medication that already lowers their blood pressure. In fact, CBD could have an adverse reaction with any medication, so it’s important to consult with your doctor before using the compound if you do take medication. Nonetheless, the current scientific consensus is that CBD is quite safe. While CBD products generally contain no traces of THC, the legality of it can be a little confusing. According to the Harvard Health Blog, the “exact legal status [of CBD] is in flux. All 50 states have laws legalizing CBD with varying degrees of restriction, and while the federal government still considers CBD in the same class as marijuana, it doesn’t habitually enforce against it.” In plain English: some states allow it, some allow it only under specific circumstances, and in others CBD is entirely banned. The only exception to marijuana laws is CBD oil produced from hemp plants rather than from marijuana plants. Hemp plants contain almost no THC, so products extracted from them are guaranteed to be effectively THC-free. This type of CBD oil, called hemp oil, is legal in all 50 states — however, it is significantly less potent than when the compound is collected from a marijuana plant. 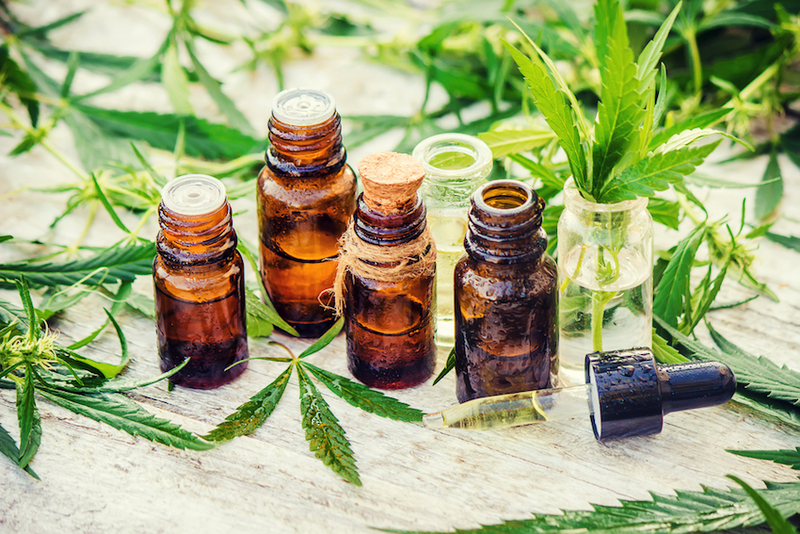 Now that CBD has become trendy to use, several new, unregulated CBD companies have started to pop up across the retail scene and all over the internet. Currently, CBD products are classified as supplements, meaning they are unregulated by the FDA. As a result, manufacturers can make wild, unsubstantiated claims about what they’re selling. Be wary of products that have significantly less CBD than advertised, or even contain THC. If you’re into vitamins or other supplements, which are also largely unregulated, you’ve probably run into these same issues in the past. Always take these companies’ claims with a grain of salt. If you want more certainty in what you’re taking, go with a company that uses liquid chromatography machines to measure the levels of CBD and THC in their product. Companies like NanoPharm and Sky Wellness use this technology to verify that their products contain 0% THC and around 99% CBD. While CBD may not be a miracle drug, for many, it is. It makes sense why so many people are exploring CBD as a way to alleviate their ailments and enhance their lives. Whether you’re struggling with pain, PTSD, stress, inflammation, cancer, or something else, CBD might be able to help you. As always, with any medical condition, make sure that you consult with your doctor first. Maybe CBD is just what you’ve been needing in your life! Sign me up to receive Dank updates! Will Thailand be the First Asian Country to Legalize Marijuana?